For women, heart attack symptoms can be atypical: pain in the jaw or back, nausea, and persistent fatigue. Many women are far more concerned about the possibility that they will develop breast cancer than heart disease, but heart disease claims more than six times as many women’s lives each year as breast cancer does. What’s more, many women are unaware of the fact that they are at risk of heart disease. “The average woman has a 47 percent chance of eventually dying of cardiovascular disease, which causes events including heart attacks and strokes,” says Joy Gelbman, MD, a cardiologist at Weill Cornell Medicine. Be aware, women: heart attack symptoms is how you get the message that you need to pay more attention to your heart health. And, women need to be aware of all of the possible symptoms that may signal a heart attack, so they can get help immediately. 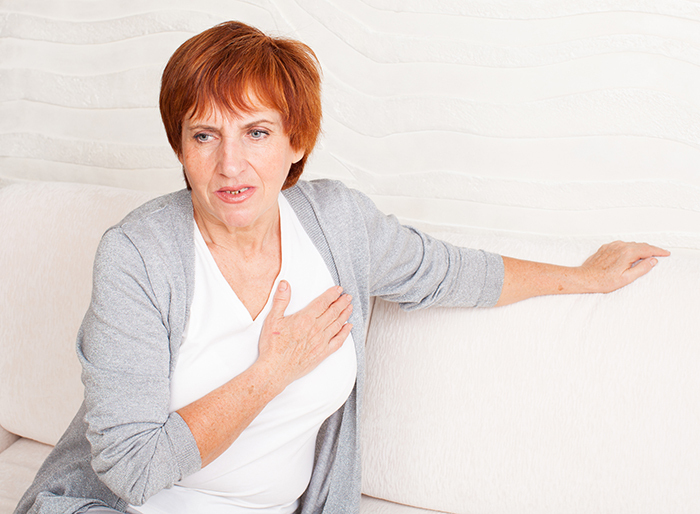 The risk of a heart attack rises with age and accelerates after menopause. After age 75, a woman’s risk of heart attack is higher than a man’s risk. In general, women have heart attacks later in life than men, when they are older and more likely to have other medical problems that can cause complications and make treatment more difficult. Diabetes, stress, depression, and anxiety are stronger risk factors in women. Pregnancy complications of preeclampsia, eclampsia, and gestational hypertension and diabetes increase your heart attack risk. If you experience any of these symptoms, don’t wait to get help; if you are having a heart attack and you get treatment quickly, you are more likely to survive and less likely to have extensive damage to your heart. Also, call 911 rather than having someone take you to the hospital; the paramedics can start potentially lifesaving treatment during your transport. Male and female hearts have identical functions, but there are some structural differences. Women’s hearts are smaller and have smaller arteries. Women are more likely to have microvascular disease in the body’s smallest blood vessels, which is harder to detect; thus, it often goes undiagnosed and untreated. A woman’s heart attack is more likely to be fatal, and female heart attack survivors have poorer health than male survivors. Heart disease in women has received less study than heart disease in men. Research has revealed that women with heart disease are less likely to be diagnosed and receive less aggressive treatment than men. And, women who have at least one risk factor for heart disease, such as high blood pressure, high LDL cholesterol, or diabetes, are less likely to be informed by their physicians that they are at risk for heart disease. Some heart attack risk factors, such as being postmenopausal or having a history of problems during pregnancy, cannot be changed. However, many risk factors, such as smoking, physical inactivity, and obesity, can be addressed by making healthier lifestyle choices. If you smoke, stop. Smoking is the single most important preventable cause of heart attack in women. Ask your doctor for a referral to a smoking cessation program, or get help online at smokefree.gov. Quitting smoking is challenging, but keep in mind that, as soon as you quit, your risk of heart attack will start to drop. Eat a heart-healthy diet. Build your meals around vegetables, whole grains, and lean proteins such as seafood and skinless chicken breast, and snack on fruits, nuts, and low-fat dairy foods. Cut back on processed foods, fast foods, red and processed meats, full-fat cheese and milk, soft drinks, and desserts; these foods are typically high in sodium, added sugar, saturated or trans fats, sodium, and refined grains, and they often are high in calories but low in nutrition. Get and keep moving. Your heart is a muscle, and, just like any other muscle, it gets stronger with use. Increase your heart rate and keep it up while walking briskly, jogging, taking an aerobics class, dancing, bicycling, or swimming. Choose activities that you enjoy and enlist an exercise buddy to help keep you motivated. Maintain a healthy blood pressure. For women, having a systolic blood pressure (the upper number) of 140 or higher triples the risk of dying from heart disease. Take medications as prescribed, and keep a record of your blood pressure at home so you can share the information with your doctor; readings taken at home provide a more complete picture than one reading taken in a doctor’s office every few months. Get help for depression, anxiety, and stress. 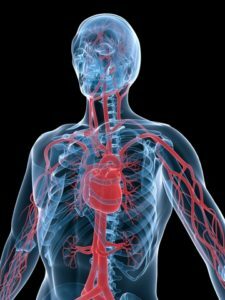 Evidence suggests that emotional stresses and psychological factors play a role in causing heart attacks in women. Reduce stress with focused breathing, meditation, yoga, or other relaxation techniques. If you do have a heart attack, it’s not too late to reduce your risk of another event. Following the strategies listed above will improve your heart health. doctor can evaluate the effectiveness of your treatment. If your medications cause problematic side effects, tell your doctor; taking medications may save your life, and stopping them abruptly may trigger a rebound heart attack or other complication. If you cannot afford your medications, let your doctor know; many pharmaceutical companies provide medications at no or reduced cost to patients with financial limitations. Finally, participate in a cardiac rehabilitation program. If your doctor doesn’t suggest such a program, ask for a referral. Cardiac rehab consists of supervised exercise that will strengthen your heart and vascular system, along with dietary guidance, education about medication, and other services that will help you understand how to take the best care of your heart. a heart attack, after menopause, anxiety, anxiety and stress, ASAP, blood clot, blood pressure, blood pressure high, breast cancer, calories, cancer, cardiac rehabilitation, cardiology, cardiovascular, cardiovascular disease, chest discomfort, chest pain, cholesterol, coronary, dairy, depression, depression and anxiety, depression anxiety, diabetes, diet, exercise, female heart attack, for depression, having a heart attack, health, healthy blood pressure, healthy diet, heart attack, heart attack in women, heart attack risk, heart attack risk factors, heart attack symptoms, heart attacks, heart disease, heart disease in women, heart health, heart healthy, heart healthy diet, heart muscle, high blood pressure, high ldl, high ldl cholesterol, hypertension, inactivity, ldl, ldl cholesterol, low fat dairy, medical problems, meditation, milk, muscle, nutrition, nuts, obesity, pain, postmenopausal, processed foods, refined grains, relaxation techniques, risk of heart attack, risk of heart disease, shortness of breath, side effects, smoking, stress, stress depression, stroke, sugar, systolic blood pressure, vegetables, whole grains, women heart attack.